Dr. Lam was first to coin the term, ovarian-adrenal-thyroid (OAT) hormone axis, and to describe its imbalances. He was first to scientifically tie in Adrenal Fatigue Syndrome (AFS) as part of the overall neuroendocrine stress response continuum of the body. He systematized the clinical significance and coined the various phases of Adrenal Exhaustion. He has written five books:Adrenal Fatigue Syndrome - Reclaim Your Energy and Vitality with Clinically Proven Natural Programs,The Five Proven Secrets to Longevity, Beating Cancer with Natural Medicine (Free PDF version), How to Stay Young and Live Longer, and Estrogen Dominance. 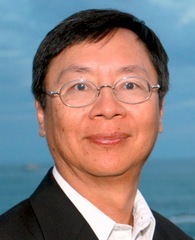 In 2001, Dr. Lam establishedwww.DrLam.com as a free, educational website on evidence-based alternative medicine for the public and for health professionals. It featured the world’s most comprehensive library on AFS. Provided free as a public service, he has answered countless questions through the website on alternative health and AFS. His personal, telephone-based nutritional coaching services have enabled many around the world to regain control of their health using natural therapies.